Its the soul that needs the surgery.....so true, words that set off so many alarms for many people. 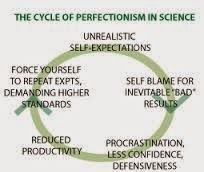 This society that we live in makes us strive for perfection, something that is unrealistic and sets us up to fail. We have it shoved in our faces on a regular basis, getting a toned stomach, bigger is better, white straight teeth, long thick flowing hair, tanned skin etc. Its all just too much and as most people there comes a point as a person where you feel like you cant handle it anymore, where no matter what you do, say to yourself or think you feel like you aren't good enough, you should be smaller, have straighter teeth, less wrinkles, all these statements go through my head and I feel like I am stuck. As Beyoncé says "Pretty Hurts" and it sure does, there is so much pressure on people today, constantly in music videos where women have a certain look, celebrities look as "perfect" as can be, magazines put pressure on trying different ways to "fix" the look you already have. BUT the way we all look is beautiful, we are all beautiful, we are unique and should be proud of who we are, of what we look like, how we stand proud to be us for us is perfect just the way we are.